AzhwAr tells emperumAn that he obtained all the great fortune due to his mercy. 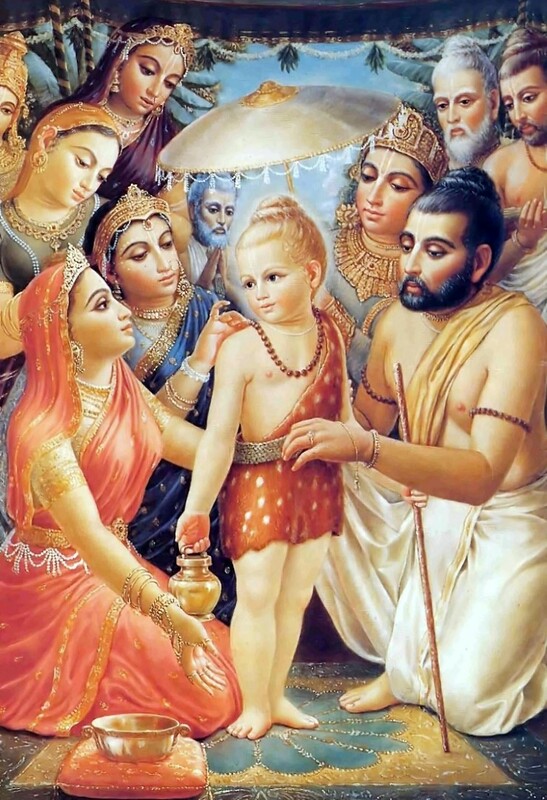 vagaiyAL avani irandhu aLandhAy pAdham – your divine feet with which you measured the earth which you obtained through a strategy by which mahAbali, who has demonic qualities, would give willingly donate with compassion. vagaiyAl – even though mahAbali was fit to be killed like rAvaNa, since he had the quality of magnanimity, emperumAn, instead of killing him, imprisoned him in the nether world after getting the worlds through alms. He subordinated mahAbali in such a way that when one tried to beat a snake with a stick, the snake should not be killed and the stick used should not be broken. emperumAn strategised and carried out activities such that mahAbali would give away the earth, which is not his, thinking that it is his, and that he [emperumAn] would accept it as if it were not his. Let indhra, who has attained me, have his purpose fulfilled. irandhu aLandhAy – you carried out the activity even before I had any affection towards you. pugaiyAl naRumalarAl miga vAyndha anbAkki Eththi adimaippattEn unakku – with the help of implements such as flowers, and with lot of affection towards you, I praised you after losing out to your beauty and surrendered to your divine feet. en bAkkiyaththAl – with the fortune that I received through your mercy or through the mercy which I did not shun when you came to shower it on me. We shall move on to the 35th pAsuram next. This entry was posted in iraNdAm thiruvandhAdhi, iyaRpA on November 3, 2017 by T N Krishnan.